We are a skillful and professional pharmaceutical company with newly launched nutraceutical Division. Jasco nutra aimed to serve innovative and effective nutraceutical formulations to Enhance quality of life and health of afflicted humanity. We are established nutraceutical Products in market and looks forward for your invaluable support to serve nutraceutical Formulations to afflicted Patient. Nutraeutical Products are imported directly from USA which maintains high Quality standards from production to delivery of finished products. 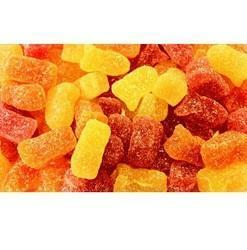 We are dealing in Gummy of Multivitamin and Minerals. Below are the mentioned features of the product. Promotes growth, repair & development of the body. Exhibits a positive effect on energy & appetite.